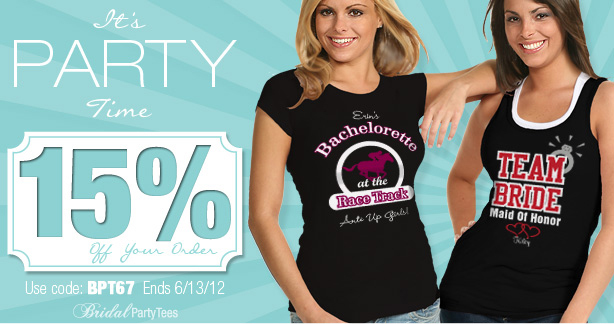 Your bachelorette party is your final chance to get crazy with your girls before you tie the knot. Custom t-shirts or tank tops for your entire group are a fun way to celebrate the night. Get 15% off with code BPT67 at checkout! Offer ends June 13th at 11:59 PM EST.